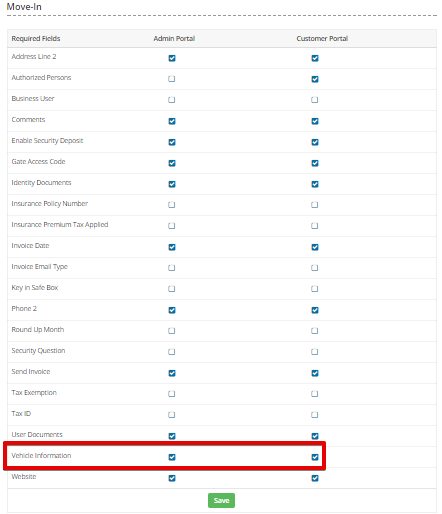 How to enable the vehicle information fields during move in? 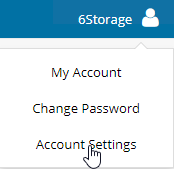 From the Main menu click on Account Settings from the main menu. Select the Setting sub tab. You could see Move In Information fields, Enable Vehicle Information fields and click on Save button. Now go to Move In page to see the changes. Under the Vehicle Information tab you could able to see the fields. Note : All are mandatory fields, when you proceed with the move in. Also you could See Vehicle Information fields in customer portal Page.